Addiction has many triggers. Trauma, mental illness, stress etc. can all lead to a person falling into drug or alcohol use. One of the many triggers that can cause this destructive pattern is loneliness, a problem which is a sign of or trigger for depression and may be magnified around and after the holidays. The holidays are over but the problems they can cause are still around. Individuals may have been unable to make it to the family dinner, may have been left out mistakenly or depression kept them away from those they love. They may end up abusing alcohol in an effort to cope. Drug and/or alcohol abuse may seem like the only answer to ease the pain of being alone. Just one more Xanax can do the trick, right? Just one more drink, one line, one hit and the feeling of loneliness will fade. Drug and/or alcohol use provide only temporary, harmful solutions to the user. The person remains alone and now they may be isolated, not by extenuating circumstances, but rather by the alcohol and/or drugs coursing through their veins. Their mood changes, their motivations lessen, they become angry or upset, their words and actions towards friends and family are hurtful. This puts distance between themselves and those they love. Now they are alone for the holidays because of their substance abuse and often remain that way as a lonely Christmas only compounds the feelings they so desperately wanted to avoid. Loneliness, depression and addiction are closely intertwined. Depression can be a result of loneliness, causing substance abuse and addiction. Loneliness or the inclination to be alone can also be a sign of depression which can cause addiction. This can occur whether or not an individual realizes they are depressed. Either way, the individual ends up alone and hurting, possibly worse than before because now they are hooked to a substance that will slowly but surely take their life. The holidays may be over but for those struggling with addiction and the loneliness it brings the issue is far from over. Unfortunately, the family and friends of these addicted individuals are suffering as well. They watch as a substance takes away the person they love. They may try to reach out but the addiction keeps them at bay, putting up barriers. In turn, they pull back, raising walls of their own to protect them from the emotional turmoil of watching their loved one struggle with their addiction. On the other side of the tracks, loneliness may strike the sober as well. Addiction may have destroyed or damaged relationships with family members or friends. This can mean going through the holidays alone. Being alone at this time may increase their risk of relapse because they have no support from loved ones. Or, for those recently sober or in recovery, the holidays may bring the loneliness of separation from loved ones. They may even be struggling with depression which is common in early recovery and, without support, may have a harder time with it than if they were with family. Whatever the circumstances, the holidays prove to be a strain on those struggling with addiction whether they are sober or currently using. Even after the holidays, individuals in and out of recovery for addiction will feel lonely. So the question arises, how does one deal with the aftermath of the loneliness of the holidays? Know that the loneliness the holidays may cause is not permanent. 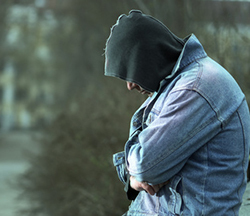 Know that the loneliness caused by addiction is longer lasting and can cause permanent damage. Seek help at a rehabilitation center. Recovery isn’t easy and can be lonely at times but sobriety offers the chance to rebuild and strengthen relationships that addiction would sooner destroy. It also provides a chance to create an improved lifestyle and teach one how to deal with loneliness when it comes. Sobriety can seem easy when living in a house where everyone is clean and there are no temptations at hand. However it can be hard to deal with triggers that are still after returning to one’s daily life, especially when struggling through the first holiday after an addiction. There is a way to combat triggers and temptations when they arise; by using newfound coping skills and keeping up a system of support. The longer one is clean and sober, the better the chance they have to rebuild broken relationships and gain support thereby diminishing the chances of loneliness. Recovery is not easy and it can be a lonely road. The more support an individual in recovery gets, the better. It decreases their chances of relapses and creates positive reinforcement for their sobriety. It also reduces the feeling of being alone in their fight which in turn helps their recovery. It will take some time to rebuild the relationship and trust with this person but the better supported they are the greater the chances of improving. As lonely as a person may feel during or after the holidays or even during recovery, addiction will only make it worse. Loneliness can be a cause for or a result of an addiction and it will envelope anyone who is involved with the addiction. However, recovery can decrease this loneliness by allowing everyone to give their relationships new life and ensure that support is given to those who need it most. Sovereign Health understands that the holidays can bring loneliness, this is true, but they can also bring a chance for a fresh start in the new year.